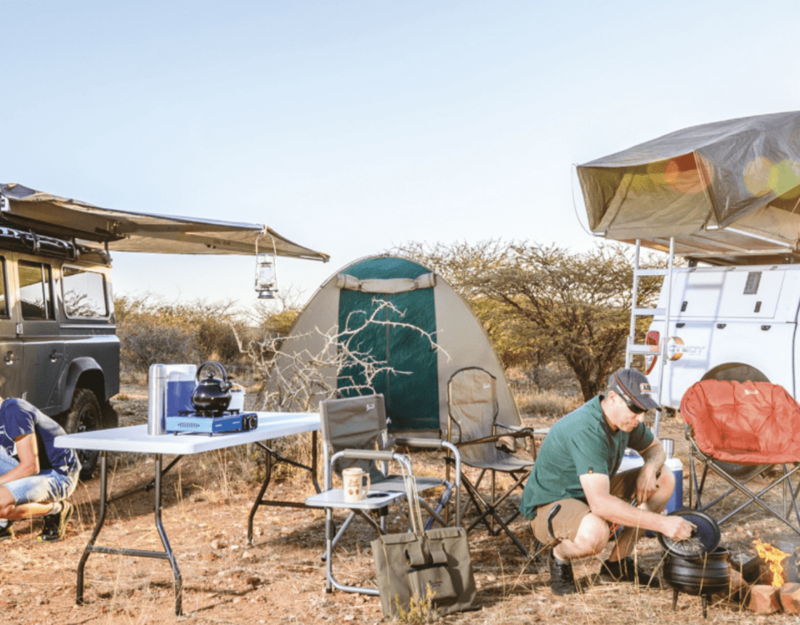 NamibRand Nature Reserve – the largest private park in Africa and situated in the depths of the Namib Desert – plays host to the Tok Tokkie Trails, which offers guided walking/hiking/trekking tours and accommodation in a desert environment. The Namib is the only protected desert in the world, making these trails a unique experience! We live the adventure in the NamibRand Nature Reserve with the Tok Tokkie and Desert Experience trails; in the Namib-Naukluft Park with the Naukluft Mountain Hike; in the /Ai-/Ais Richtersveld Transfrontier Park with the Fish River Canyon Hike; and in the Brandberg environs with the Brandberg Summit Hike. Our trails are graded between 3 and 8 on the level of difficulty. From all over the world! Mostly enthusiastic hikers, mountaineers, climbers – people who like outdoor adventures. 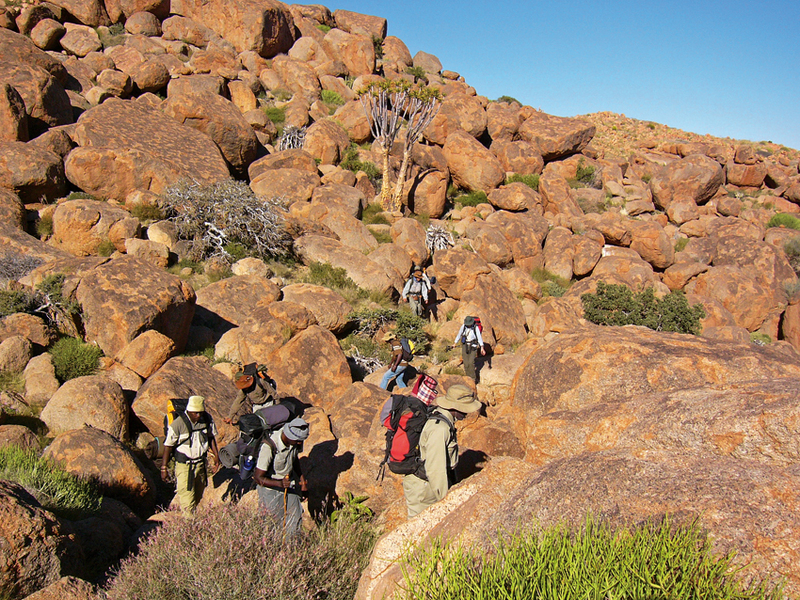 Gain advice and information from the local experts in Namibia, especially the experts in the fields of hiking and trekking. Kerstin Klein and myself (the owners of Safaris Unlimited) have a great deal of self-experience, gained from all over the world – Kilimanjaro, Mount Meru, Mount Kenya, various Nepal Annapurna & Himalaya Treks & Trails, various Chile/Ecuador Andes Volcano Treks & Trails. Grade 3 to 8: Waterberg Plateau Hike (3) to Naukluft Hike (8). The grading scale depends on criteria ranging from carrying your own back pack for more than one day’s trekking, access to drinking water, carrying drinking water and food over longer periods, overnight accommodation, the walking terrain, daily distance to be walked, and the support you have. Grades 9–10 apply to walking in the so called ‘death zone’ – heights above 3,500 metres.